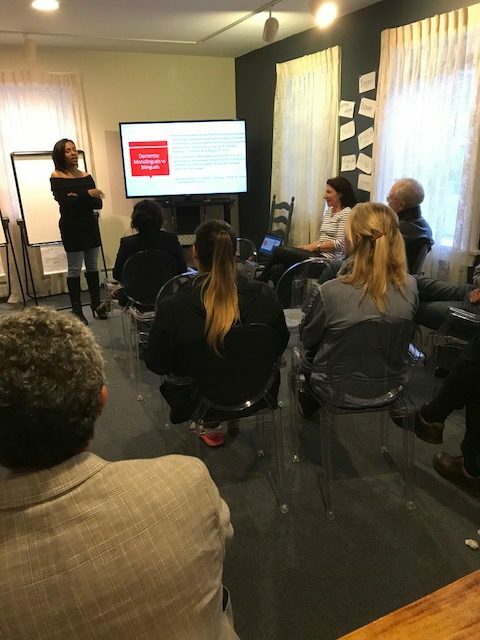 Doctor Nancy Gauvin, Clinical Assistant Professor at the University of Vermont presented a fascinating lecture at 43 King Street on April 27th, 2018. Dr. Gauvin, who is Haitian-American, presented in English but also spoke French a bit afterwards with attendees during a Question and Answer session. Of particular interest was her discussion of how heart attack, stroke and other traumatic brain injuries can affect speech production in bilingual speakers specifically. 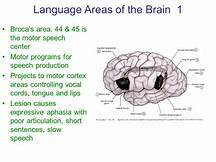 Many older AF students have taken up language classes in recent years because there’s significant evidence mounting that shows exercising the many parts of the brain needed for language acquisition helps stave off memory loss. Dr. Gauvin pointed out that persons in possession of more than one language have recovered from tramautic brain events better than monolinguals. Many thanks to Prof. Marielle Aunave for having made this lecture possible, and to Dr. Gauvin for her expertise and willingness to share it with the AFLCR membership. See here for Dr. Gauvin’s profile at U.V.M. and Gauvin Bilingual Presentation for the PowerPoint presentation she presented at her lecture.